Their story highlights a mystic union of two and their wedding was just as captivating! 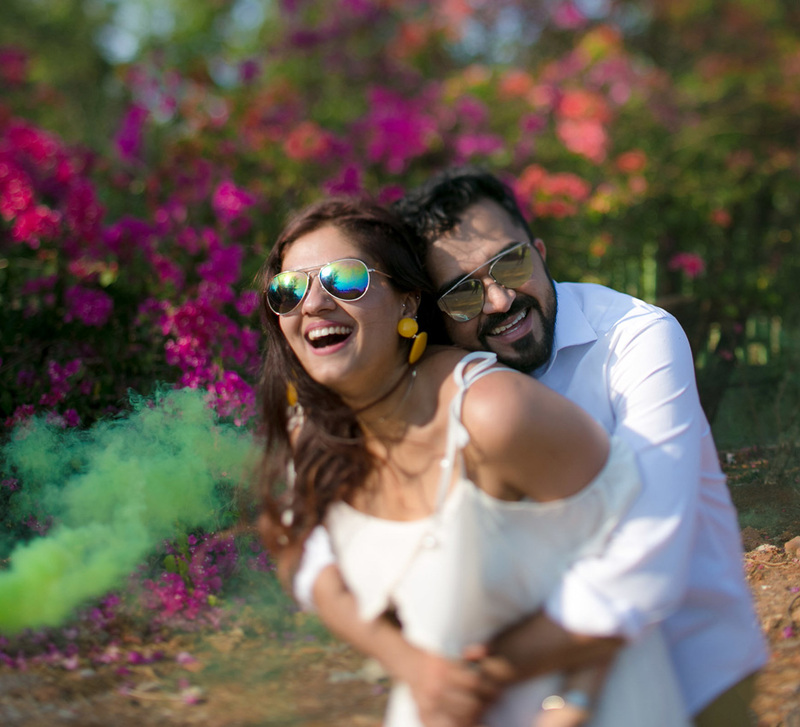 From her early years in Mumbai to young adulthood in the Caribbean and a professional life in New York, it’s not surprising that Divya found love half-way across the world, in Bangkok, with a Spaniard! Divya and Ravi’s magical story just proves that love always finds a way. 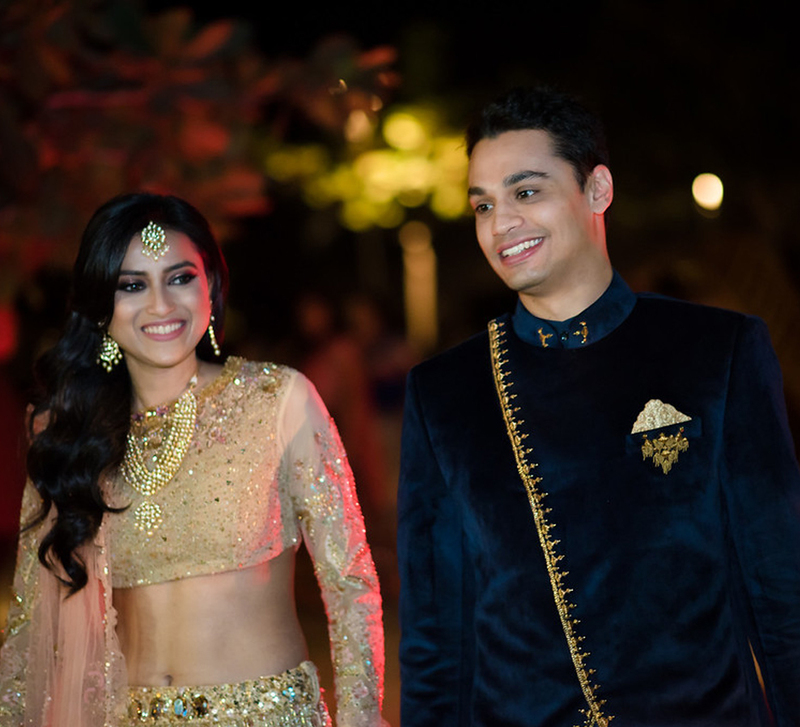 Planned by WeddingSutra Favourite Var Vadhu, here’s unfolding a few moments from their fairytale wedding. Divya and Ravi met on her birthday, at a wedding in Bangkok. It didn’t take them long to realize that they had randomly exchanged Facebook messages two years ago and that too, on her birthday even then! Fate was showing them exactly how she works. Divya had (not so subtly) mentioned to Ravi how she’d always dreamt about a romantic proposal in a hot air balloon. He casually brushed off her idea, and even better, cleverly convinced her that he wasn’t ready for that step. And yet, a month later, she was up in the air (just as she’d dreamed) sitting in a helicopter overlooking the city of Toronto with a ring on her finger! 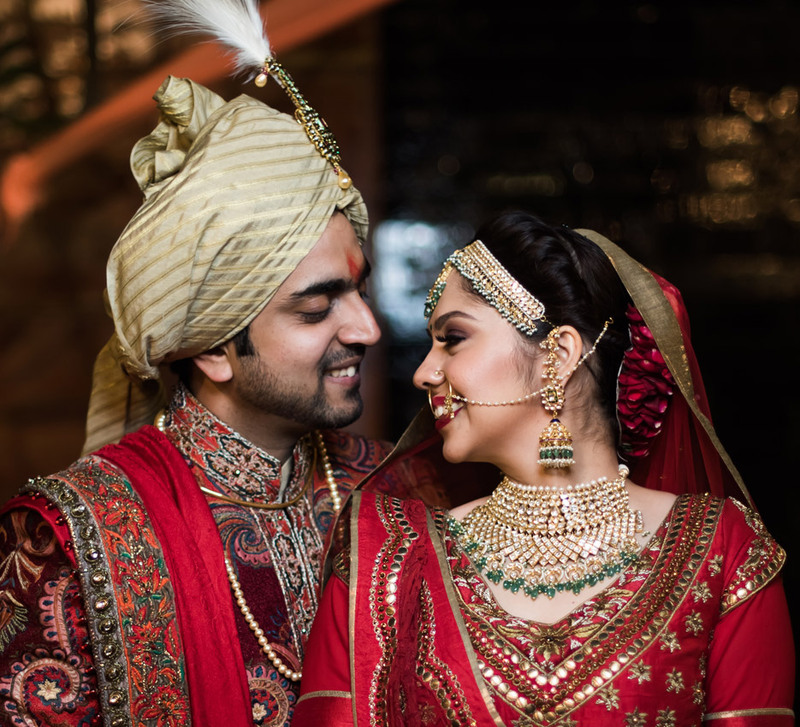 With a guest list full of New Yorkers and Spaniards, the couple wanted their wedding to be an authentic experience and reflection of Indian culture. After months of research, they finally settled on the idea of Mumbai! All their events were hosted in the plush settings of The St. Regis Mumbai. As for the photographers and videographers, the couple trusted Jodi Clickers to capture their cherished moments. The unofficial celebrations began with an intimate brunch with Divya’s family and close friends celebrating in her suite as she got her mehndi done. “There was a strict no groom’s side policy in place! The idea was to spend some quality time with my loved ones before the official start of it all!” says Divya. Coupled with the engagement ceremony, the welcome dinner was the Kickstarter to the wedding festivities. Imagine a ballroom with green drapes and soft florals exuding a vintage spirit. Well, that was the theme for the night! The highlight of the evening was the fun memorabilia for the couple to take home after (all personally filled in by their guests)! The ultimate dance party that was built up by a series dance performances to not only Indian music, but included some Caribbean vibes and an unforgettable, authentic Flamenco show! The highlight of the night was a dozen of Ravi’s Spanish friends doing a number wearing masks of Ravi and Divya. There were Ravi and Divya’s everywhere throughout the night. Following that humorous number, the Vyas brothers then took the stage and took things up another notch! Then came everyone’s favourite part of the wedding, the Baraat! What Ravi thought would last only 30 minutes ended up lasting almost a full 2 hours. All groomsmen, so beautifully coordinated with their navy blue pants, white shirts, and pink safas, filled the entire hotel with an unforgettable energy. 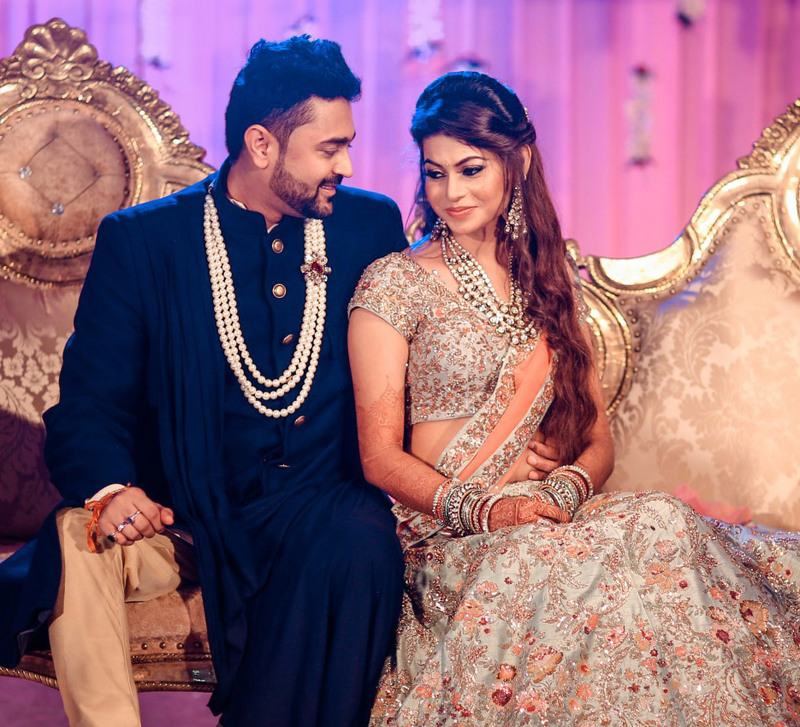 2 hours later, after they finally agreed to settle down, Divya made her way to the Mandap which was set outdoors on the terrace and decorated in dreamy shades of pink. The seated reception had Ferrero Rocher name tags on each table and included a classic colour palette of white and gold. Even though the start of the night was filled with heartfelt speeches, The Wedding Bartenders did a phenomenal job of lifting the energy levels back up to the top. It was a final celebration that sent even the newlyweds to their room at 8:30 am!